This article appeared first on The European Files, March 2017. 2016 is the year that political correctness went out the window when it comes to the debate on pharmaceuticals in Europe. The past year certainly marked a turning point and made clear that the problem of high prices of medicines is systemic and here to stay. As a sign of the critical times, the 28 European Health Ministers signed off the most strongly worded Council Conclusions ever. They broke a series of taboos and addressed the major shortcomings of the current pharmaceutical business model including the “holy grail”, the question of the overprotection, misuse and abuse of intellectual property incentives for medical innovation. In addition to the groundbreaking June 2016 Council Conclusions, the Belgian and Dutch HTA agencies commissioned the 6-month “Future Drug Pricing Scenarios” project which came forward with 4 alternative models of drug development, a solid response to the “there is no alternative argument”. Last September, the UN Secretary-General’s High-Level Panel report on access to medicines was published demonstrating that “the status quo is no longer an option” as The Lancet put it. 2017 started with equally comprehensive discussions in various fora such as the WHO Fair Pricing Forum, the OECD, the European Commission with the forthcoming proposal on HTA and last but not least, the European Parliament which recently adopted its position on access to medicines. All of the above to say, that national and EU policy makers are aware of the problems and eagerly look for actionable solutions. Member states realise they have leverage towards drug manufacturers and are exploring paths how to use it. The voluntary intergovernmental collaboration initiative between the Netherlands, Belgium, Luxembourg and Austria, more commonly known as “Beneluxa” appears to be a game changer. 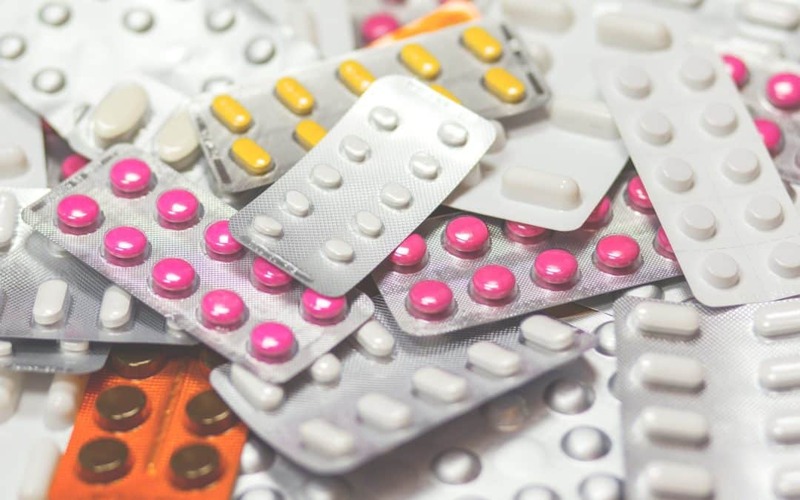 Joint negotiations, international collaboration and more solidarity can effectively reduce information asymmetry and make it harder for the pharmaceutical industry to play the system. In terms of next steps, there needs to be systematic work on the tools we currently have such as the various pricing and reimbursement mechanisms but at the same time, we need to look at new tools and avoid piecemeal solutions. Public health leadership is essential and medical innovation incentives need to be tied to public health priorities. The evidence-based analysis mandated by the Council last June on the impact of the additional forms of patent protection (namely data, market exclusivities and the supplementary protection certificate) is a step in the right direction. The orphan drugs legislation put in place 17 years ago has given us some fantastic innovation but is more and more used for profit maximization by the industry to the detriment of patients. From the public health perspective, orphan drugs cannot be allowed to become the rule as they constitute an explosive mix of pared-down evaluations and the highest prices on the market. The same applies to the various early access schemes and the overall push for accelerated approvals embodied by the controversial adaptive pathways school of thought. Faster cannot be interpreted as easier because flexibility is important but so is patient safety. To this end, the further orphanisation of the pharmaceutical regulation must be avoided as that would hinder meaningful innovation and substantial therapeutic advance. That is why; the European Medicines Agency (EMA), the top EU regulator needs to send the right signals to the market namely that the so-called nichebuster business model is not sustainable. Speaking of the EMA, it is important to have a critical review of the regulator itself and prevent further regulatory capture. What is the relationship between the EMA and the pharmaceutical industry when 83% of its funding is provided by those it is supposed to regulate? Are there sufficient checks and balances in place to ensure that there is no link between funding and decision-making? What can we learn from past mistakes to ensure they are not repeated? Moreover, there needs to be more public funding into medical research and development (R&D). Public funds (in different shapes and forms) already play an important role and in certain therapeutic areas, they even exceed the private contribution. Hence it is critical to guarantee the public return on public investment with the appropriate public-interest conditionalities attached and the right governance structures in place. Europeans should not have to pay twice or even three times for their medicines since they already contribute to their development. This is particularly pertinent as the Innovative Medicines Initiative (IMI) and the post-Horizon 2020 era are reviewed. The issue of healthy and robust competition is another critical area which can contribute to meaningful innovation and affordable treatments. Last but not least, the pursuit of transparency at all levels (in prices, in governance, in production and R&D costs, in the share of public funding, in clinical trials data to name a few) is of utmost importance. Experience teaches us that the secrecy and the policy fragmentation, two prevailing features of pharmaceutical decision-making, undermine governments’ leverage. The political momentum around these issues will remain high during 2017 and 2018. The greatest challenge is for decision-makers to overcome the Stockholm Syndrome that a lot of those working on pharmaceuticals seem to collectively suffer from thinking that change is impossible. Besides, we need to keep in mind that most of the recent quite disruptive political developments briefly mentioned in this article were inconceivable only a few years ago. In other words, no solution or policy recommendation should be regarded as off-limits any longer.